What Are The Conditions That Can Be Treated With Medical Marijuana? Imagine treating a life threatening condition with a drug that does not make you feel painful. That is what patients suffering from a wide range of conditions need today. Unfortunately, patients who suffer from conditions such as asthma and depression know of just conventional treatment options available. That is despite the fact that there is medical marijuana – a safe treatment option that has been proven as safe and side effect free as far as treating some of the most life threatening conditions is concerned. So just how many conditions can be treated with marijuana? Here is a list of some of the conditions. It is estimated that more than 15 million people in North America suffer from asthma. Unknown to many patients who suffer from the condition, marijuana is Asthma’s most effective treatment. Its use to treat the condition dates back to the 19th century when doctors referred to it as the Indian hemp. Medical reports recorded in the century indicate that cannabis was used widely across the US and Canada to treat the condition. Some reports go on to state that a prescribed hit of cannabis can be strong enough to curb a full blown asthma attack. 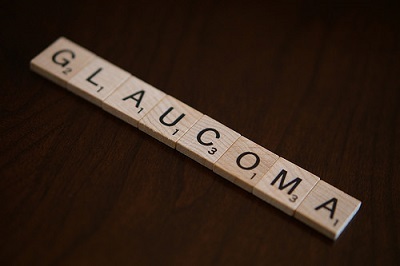 6 percent of all blindness in Canada is linked to glaucoma, a gradual loss of vision. There is already evidence from the US that cannabis is as effective as the current drugs used to reduce ocular pressure which characterizes the condition. It gets better with the fact that use of marijuana to treat glaucoma does not come along with sudden death syndromes often associated with pharmaceutical glaucoma eye drops and drugs. That could be a reason why a number of doctors in California advised their patients to discreetly use street cannabis in addition to their eye drops. This was way back in the 70s when use of marijuana was still illegal throughout North America. Extensive research has been done over the years on the effectiveness of marijuana as far as treating tumors is concerned. A breakthrough come in the 1980s when researchers from the Virginia Medical College discovered that use of prescribed marijuana can reduce both benign and malignant by as much as 70%. It should however be noted that use of cannabis for preventing and reducing tumors is more effective where a patient stars on marijuana prescription before the tumor in question progresses to cancerous levels. This is where chemotherapy comes into the picture. It is a method of treatment used mainly to treat cancer and AIDs. Unfortunately, it comes along with several side effects such as nausea and loss of hair. Marijuana steps in as one of the best control agents for nausea in cancer chemotherapy. The same can be said when it comes to treating nausea in AIDs patients. The rationale behind its effectiveness is easy to understand. Marijuana can be ingested as smoke. That means it can stay in the system for long. The main downside with drugs prescribed to treat nausea is the fact that patients have to swallow them. That increases chances of unsettled stomach and motion sickness. Research has proven time and gain that marijuana is beneficial for 65% of all epileptics. It should however be noted that marijuana cannot be used to treat many types of epilepsy. Far from that, marijuana has been proven to be more effective than most if not all prescribed anti epileptic drugs. Like already discussed it does not come with side effects. It is extremely effective for reducing and preventing epileptic seizures in both children and adults. Multiple sclerosis is characterized by tremors, muscle weakness and fatigue. It is one of the most devastating nervous system disorders today. Fortunately, marijuana can offer significant relief for multiple sclerosis patients whether smoked or applied as poultice or as an herbal pack. Medical practitioners agree unanimously that prescribed marijuana is one of the most effective muscle relaxants today. There is no scientific evidence that marijuana can be used to treat lung cancer. There is however evidence that it is one of the best natural expectorants. In other words, it can be used to clear lungs of smog, lungs, phlegm and dust associated with tobacco use. Prescribed puffs can go a long way to effectively dilate airways in lungs and bronchi. This facilitates better and healthier breathing as more oxygen gets into the lungs. Stress is one of the main causes of insomnia and other sleep disorders. Cannabis happens to b a natural stress reliever, which means it can help one relax his or her mind before bedtime. Statistics show that evening cannabis smokers report more restful sleep than their counterparts who do not smoke before going to bed. Like other drugs, medical marijuana should be used in moderation. With that in mind, be careful not to go on an overdose. Be sure to also take appropriate measures if you are expectant or suffer from any condition that can be aggravated by use of medical marijuana.